Lots of people are moving their MP3 audio files beyond the PC and portable music player and incorporating MP3 music into the home theater. This makes a lot of sense — why not listen to all your MP3s on the highest-quality audio system in the house? MP3 is the most common format for digitally storing music and other audio files on a computer or computer-like device, but it’s not the only format out there. 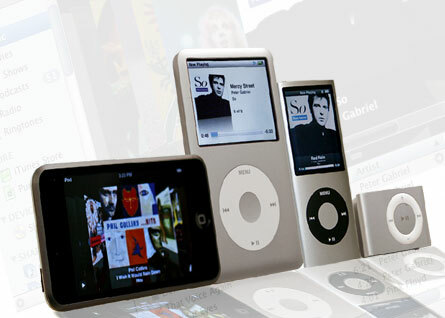 A few others, such as Microsoft’s Windows Media (WMA) and Advanced Audio Codec (or AAC, used by Apple’s iTunes Music Store), are also common — as are the formats most often used for music purchased on the Internet. MP3 mania has exploded worldwide over the past few years, initially because online services enabled people to share and download songs converted from CDs to the MP3 format. MP3 has retained its popularity because its small file size has made it an attractive system for carrying music around on computer-like portable audio players, such as Apple’s iPod or Microsoft’s Zune. Where do all these MP3s come from, anyway? At one time, file-sharing services allowed people to put their music collections online and share them with the world. Of course, record companies weren’t all that supportive of this grassroots music revolution, so most of these services soon got sued out of existence. Rip your own: You can convert your CDs to MP3s on your computer (this process is called ripping). To do this, you need a PC with a CD or DVD drive and an MP3 program such as iTunes. Download legally: These days, it’s really easy to find legal places to download the most popular music on MP3 (or in AAC or WMA formats). Some online music stores to check out include Apple’s iTunes Music Store and Rhapsody.